Important Travel Information: It's Still Really Easy to Get to Liverpool this August! 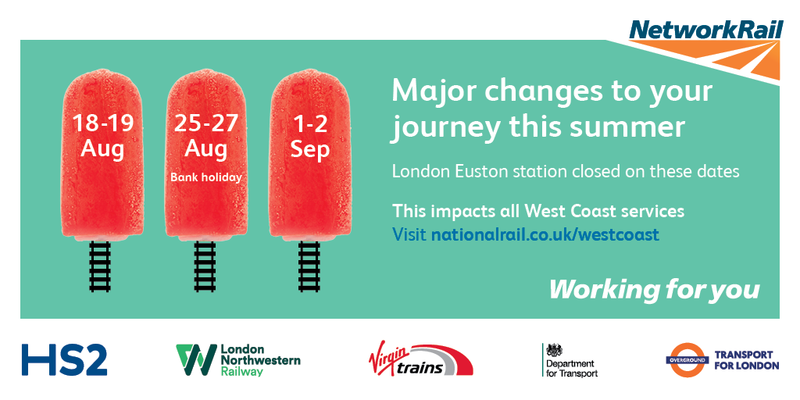 Important Travel Information: It’s Still Really Easy to Get to Liverpool this August! Planning on travelling to Liverpool this August? Although London Euston station is closed, Liverpool is still really easy to get to. You’ll just need to plan a little in advance. – Your tickets will be valid on other reasonable journeys. Please check with your train company for details of ticket acceptance on specific routes. For more information, follow @nationalrailenq on Twitter.